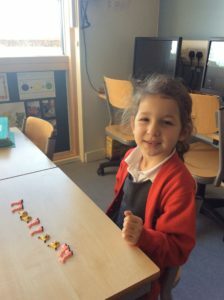 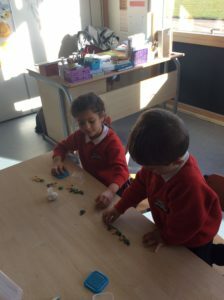 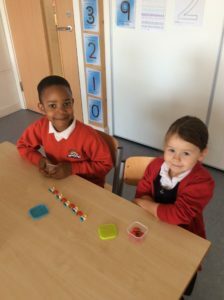 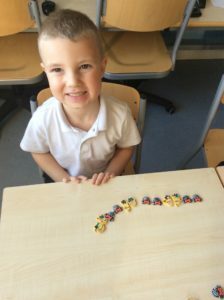 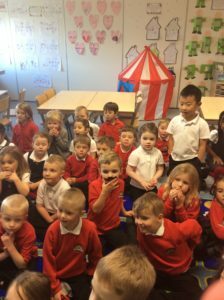 It has been a very exciting week for the primary one children. 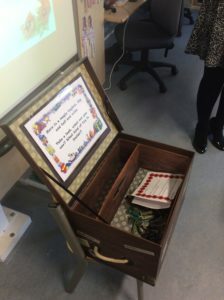 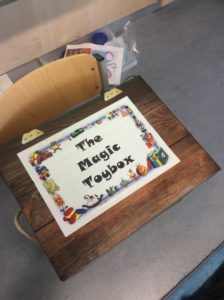 A ‘Magic Toybox’ arrived in the classroom along with a letter and some toy soldiers. 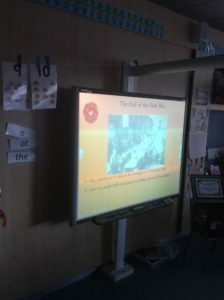 The soldiers helped us learn about Remembrance Day and poppies. 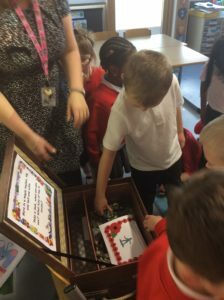 Our poppies will be displayed for you all to see at the coffee morning. 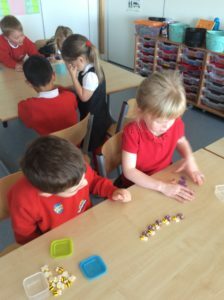 Friday has been a busy day in the classroom. 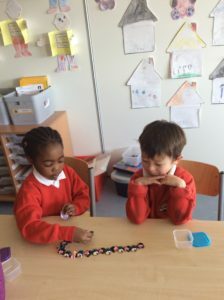 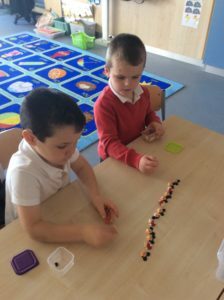 We worked in pairs using different characters to create a range of patterns. 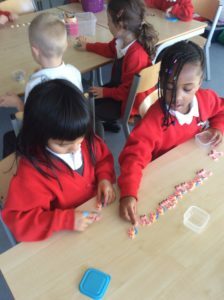 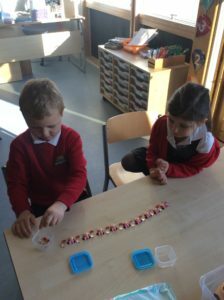 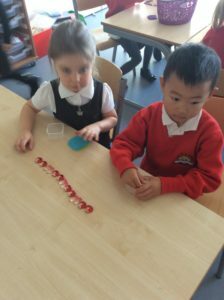 We were great at working in our pairs and were all super at creating our own patterns.